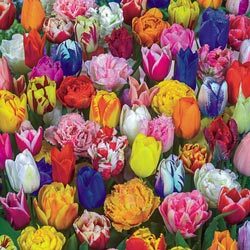 Our exclusive All Spring Tulip Mix is sure to delight with a brilliant range of richly warm-hued blooms and intriguing shapes. 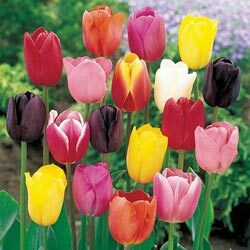 This mix contains early, mid and late flowering tulips guaranteeing weeks of lovely blooms. 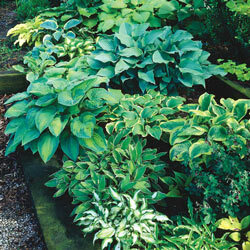 An assortment of popular varieties, our low-cost mix provides plenty of texture and color, yet needs little care. Mildly fragrant purple or white trumpet-shaped flowers are carried on graceful panicles that rise above the attractive foliage. 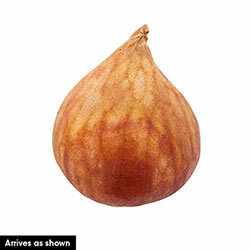 Germination Plant with roots pointing downwards and the growing points "eyes" slightly below soil level. Foliage Type: Gray-green, linear or broadly ovate. Flower Form: Upright, double, single, bell/funnel, parrot, lily - ect. Planting Instructions: Plant 6" deep and 3 - 6" apart. Soil Requirements: Well drained. Loosen soil about 10" and water well after planting. Pruning: It is important to let the foliage mature and die down naturally, do not cut back. Next year's bloom is being developed. When the foliage is yellow or dried up. Winter Care: Mulch +/- 2". 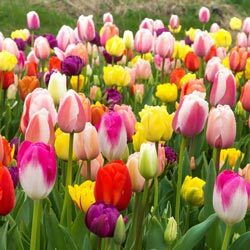 Additional Information: Consider planting with later blooming perennials as the bulbs go dormant for the rest of the growing season.